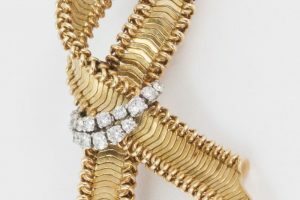 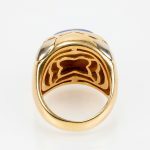 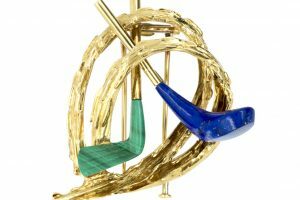 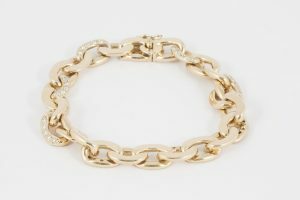 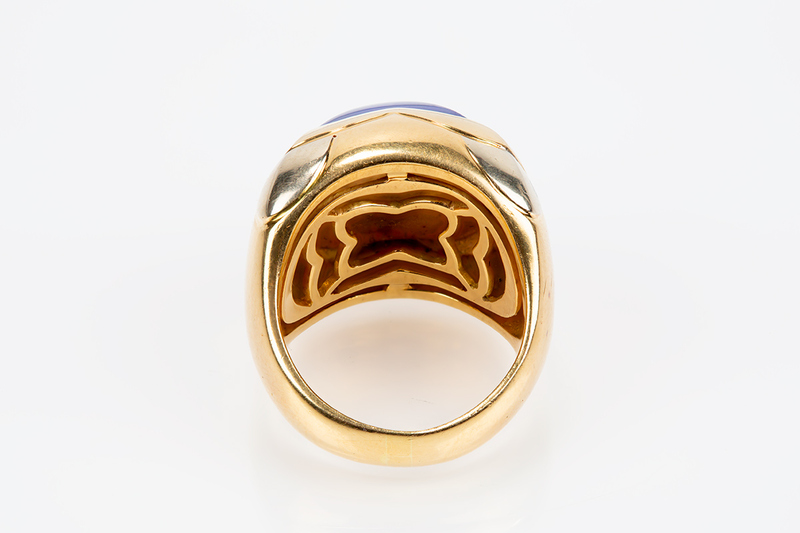 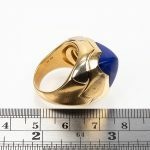 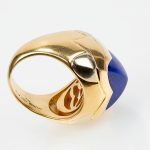 A finely made and heavy quality ring by Bulgari. 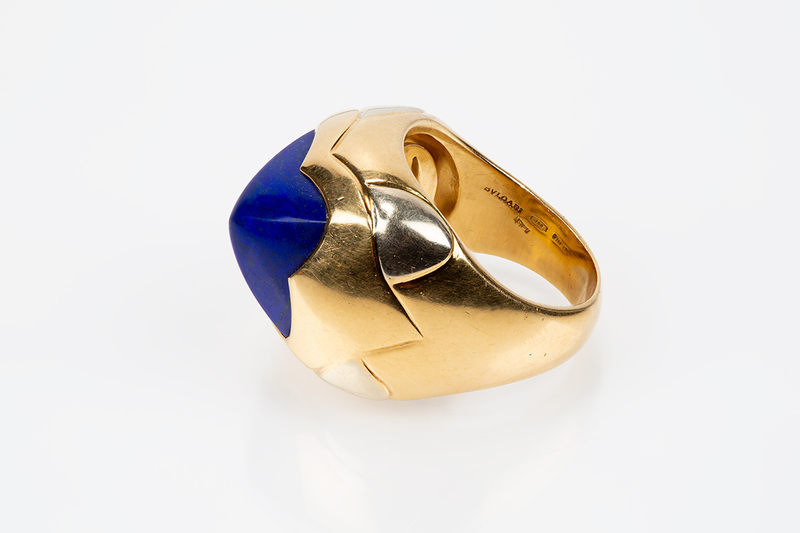 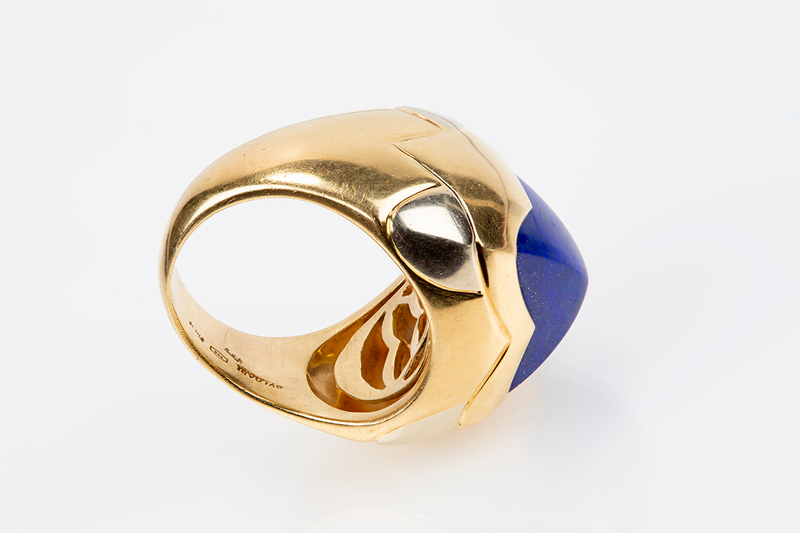 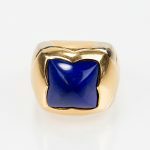 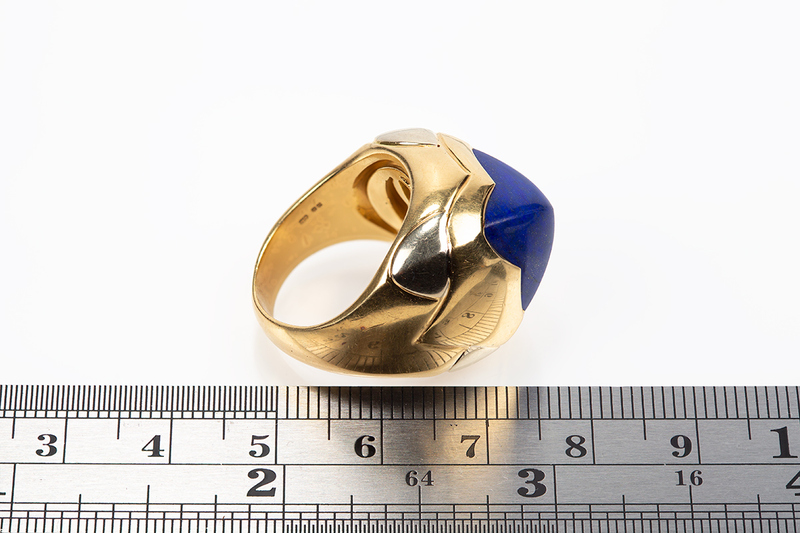 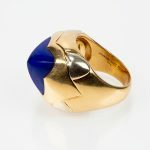 Made in 18 karat yellow gold with white gold shoulders and a central natural lapis lazuli stone of fine colour. 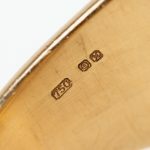 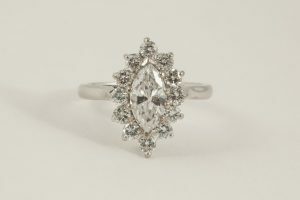 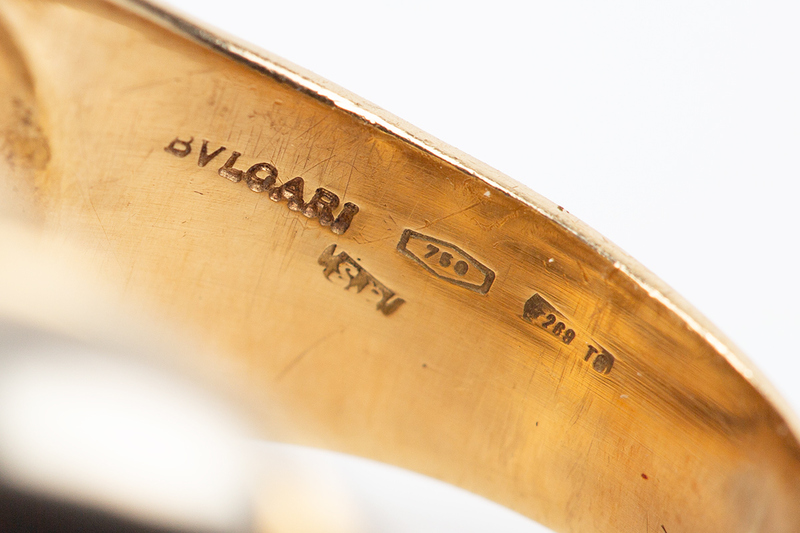 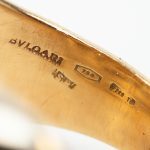 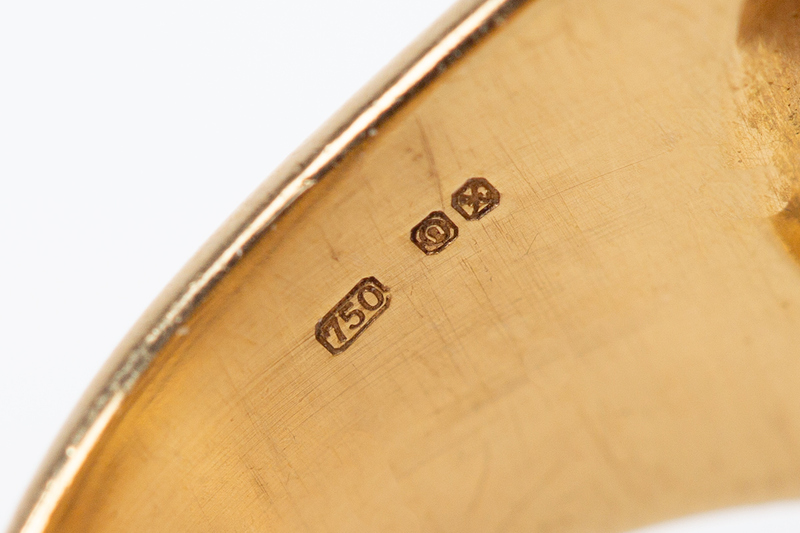 The ring has a 750 mark and the makers name Bulgari engraved on the inside of the shank. 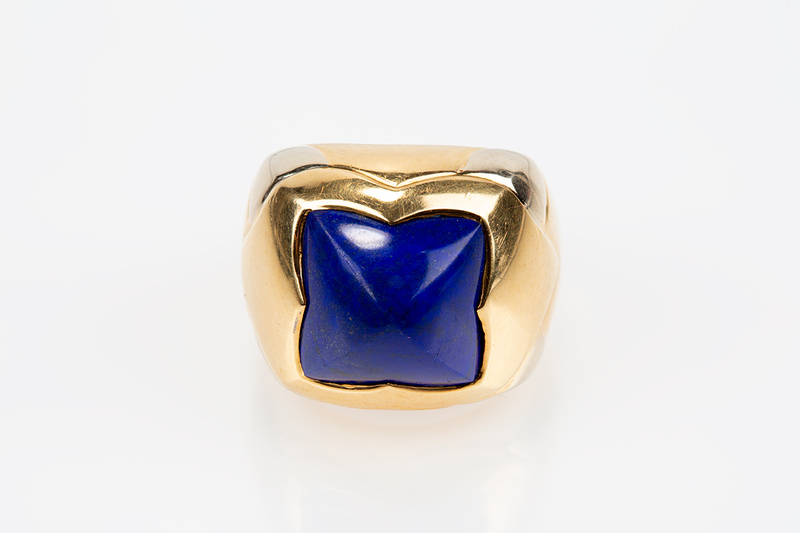 20th century, Italian circa 1970.